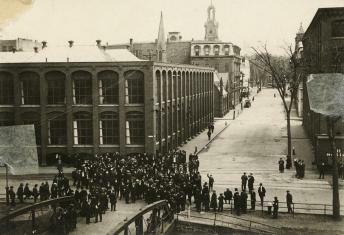 In the winter of 1912, mill owners in Lawrence, Massachusetts, had distributed reduced paychecks to workers in the Lawrence textile mills. On a cold day in January, the angry workers stormed out of the factories, beginning a strike that was to pit as many as 10,000 workers against police and soldiers in the streets surrounding the factories. 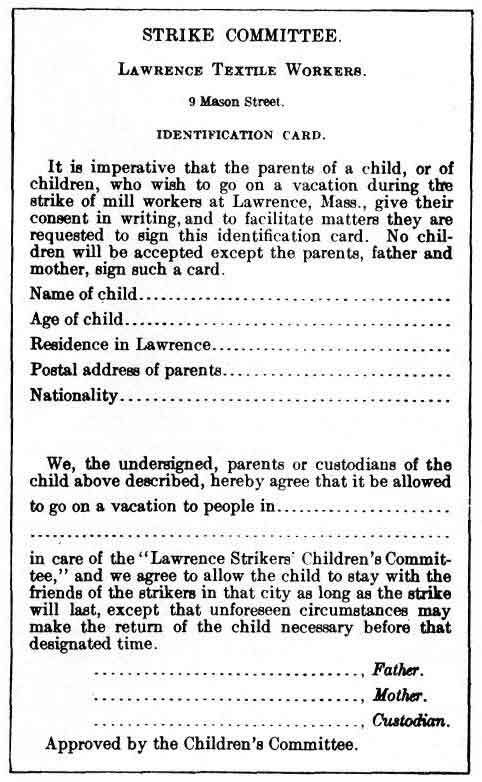 The strike in Lawrence was soon the most famous labor dispute in American history. 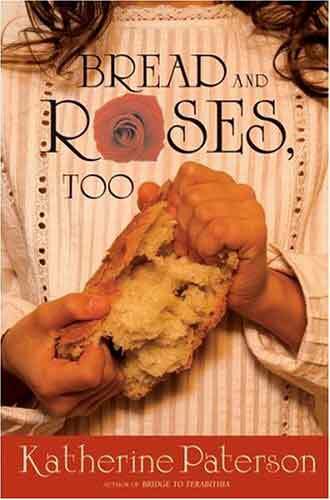 It became known as the “Bread and Roses” strike because of a placard carried by a picket-line protester that declared. “We Want Bread and Roses, Too,” a plea for a life of dignity as well as a living wage. “Collective Voices”, a 20 minute video documentary of the history history of the strike, produced by The Massachusetts AFL-CIO in collaboration with the Lawrence Heritage State Park, using original footage and archival photographs. Bread and Roses Centennial Exhibit, a comprehensive lavishly illustrated, online exhibit, produced by the Bread and Roses Centennial Committee and the Lawrence History Center. 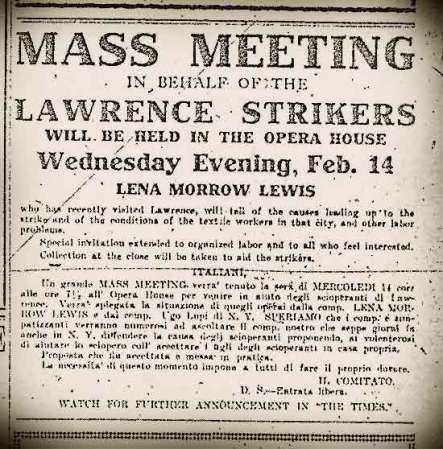 News of the great Lawrence strike soon spread to Barre. Many Barre people were members of the Industrial Workers of the World which played an important part in organizing the strikers and finding help for them from other parts of the country. 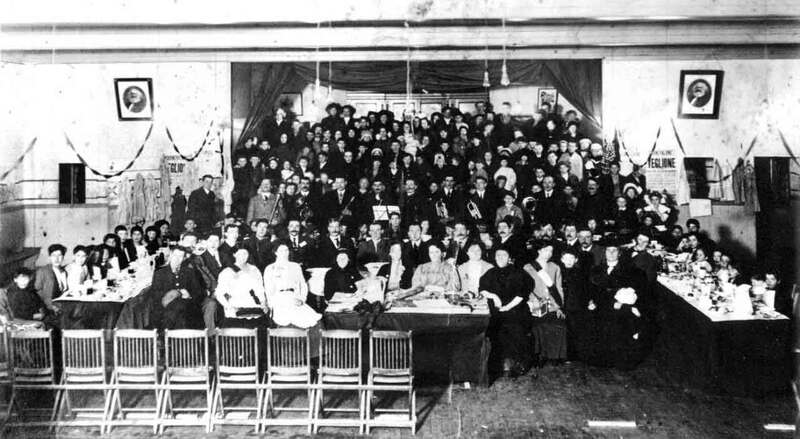 By February 8th of 1912 there had been a community-wide meeting at the Socialist Labor Party Hall on Granite Street attended by more than 350 citizens who pledged their unanimous support for the Lawrence textile workers. This was the first of a series of community meetings and events that supported a major fundraising effort which would culminate in the sending of hundreds of dollars to Lawrence to support the strikers, all collected from the working people of Barre. 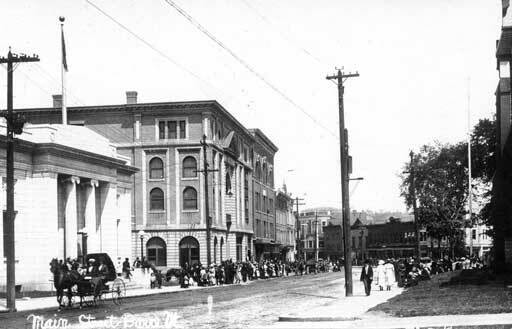 The meetings were conducted in both English and Italian, since the supporters of the Hall were drawn largely from the ranks of Italian immigrant stone cutters. After a month of increasing tensions and escalating violence, including the death of Anna LoPizzo, a worker from Italy, many strikers sent their children to safety. The children were met on February 17th at the train station on Depot Square by a crowd of several hundred citizens and, in a festive procession marched from Depot Square to City Hall Park and then back to Granite Street and the Socialist Labor Party Hall. The Barre Times reported, “A band made up of musicians from Barre, Bethel and Waterbury furnished music at the station as well as later during the parade to the city hall, around the park and thence back down Main Street to the Socialist hall on Granite Street. Borne aloft by men and women and children were signs with the legend ‘Help the Strikers.’ They were written in both the Italian and English languages and added an interesting touch of color to the scene. 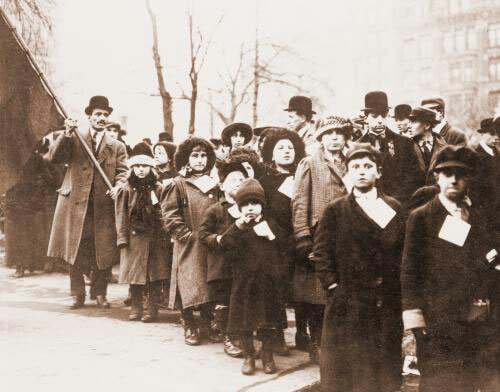 The large crowd followed the parade and, at the Socialist Hall, physicians were on hand to examine the children as to their physical fitness and immunity from disease. “A monstrous banquet was spread at the hall and the youngsters fell to it with a will after the examination was over.” Then the children were equipped with warm coats. In Barre, there were reports that some of the youngsters were brought to the Granite City without proper parental notification. Two days after their arrival two boys were taken back to the strike-torn mill town after their father complained that they were sent away without his approval. 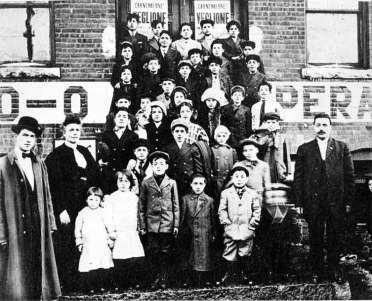 Erroneous reports of unhappy children were planted in Boston newspapers and they were denied by delegates from both Barre and Lawrence. It was later revealed that agents of the mill owners had fabricated accounts of mistreated children to cause uncertainty among the strikers and their supporters. 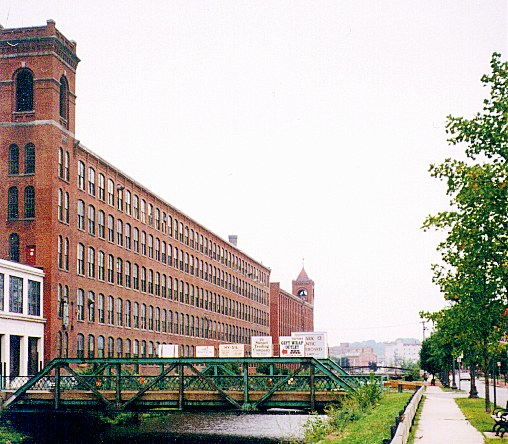 The dispute was settled in mid March on terms that were favorable to the workers and it brought national attention to the plight of immigrant workers and their children in the New England mill towns. And in Barre, there is still pride in the role the Granite City played on behalf of the workers in the textile mills. Read on about the enduring connection between Barre, Vermont and Lawrence, Massachusetts: “Barre and Lawrence — The Bond Continues“. Go to the online Union Cooperative Store to get a signed copy of Katherine Paterson’s children’s novel about the strike and the Barre connection, Bread and Roses, Too This book was used in 2012 for a citywide read-in sponsored by the Lawrence Public Library as part of the centennial commemoration of the strike. The story of the Socialist Labor Party Hall and Barre connection to the strike is adapted from the article, “Barre’s Long Reach: The Children’s Exodus, and a Martyr’s Grave,” by Paul Heller, published in the Times Argus on February 15, 2012, and used by permission of the author. The archival photographs from Barre are used courtesy of the Aldrich Public Library and The Walter P. Reuther Library.